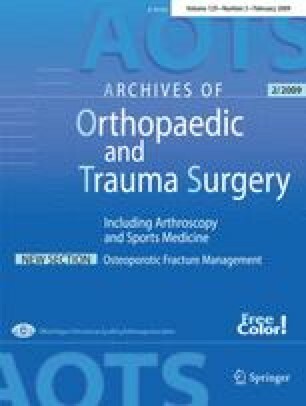 The authors report a case of separation involving the posterior aspect of the lateral femoral condyle in a 13-year-old boy. The patient presented with a 2-year history of vague knee discomfort and recurrent knee effusions in the absence of a single acute traumatic event. A large mobile osteochondral fragment involving most of the posterior aspect of the lateral condyle was refixed surgically with two screws via a posterolateral arthrotomy. The knee has recovered full function and the lesion is radiologically stable.